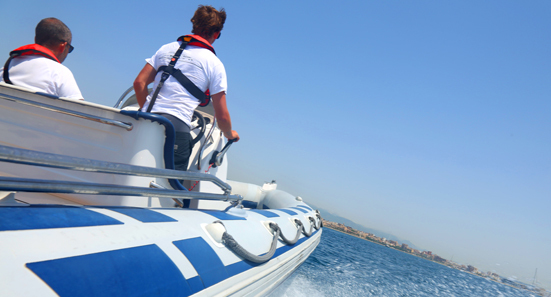 Our training boats and jetskis are excellent vessels on which to build your experience and confidence, and are also available to charter. 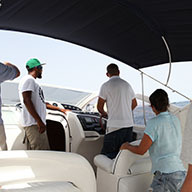 Based at the lovely marina of Port Calanova, the conveniently located training centre for the Spanish Sailing Federation and their Olympic sailing teams, our modern training boats are fully coded to the highest MCA standards and with our emphasis on safety and reliability these are excellent vessels on which to build your experience and confidence. 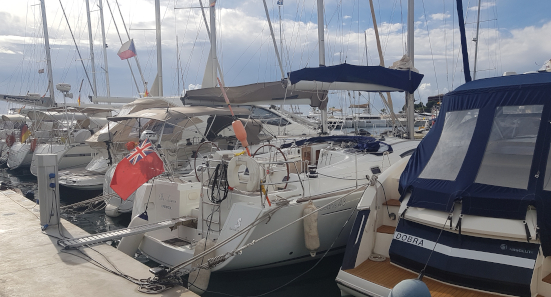 Our 2019 training fleet comprises an ultra-modern and well-equipped Beneteau Oceanis 43 named Ellie Lauren which is an excellent, spacious and comfortable sailing yacht. 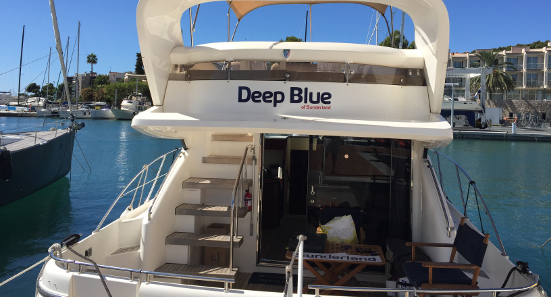 Our motor yacht, 'Deep Blue', is also berthed at Calanova and is a Fairline Phantom 46 boasting powerful twin Volvo Penta turbocharged diesel engines driving shafts/props - quiet, clean and economical by yachting standards, air-conditioned and with a great layout and equipment at both lower and flybridge helms including radar. Our rib is a robust Avon Adventure 620 with 6 jockey seats and a powerful yet economical 4-stroke Suzuki 140hp outboard. We use Seadoo jetskis for our jetski courses, and these are available for daily rental to holders of a PWC certificate and/or ICC with PWC endorsement. All of our boats are available for charter with our without skipper, and we offer special low rates on all rentals for students of the school. © 2017 Deep Blue Sea Training SL. All rights reserved. Terms and conditions, features, pricing, and service options subject to change without notice.